Mr. Steamy a locally owned and operated upholstery and carpet cleaning company, that services residential and commercial carpet care adds a new truck mount and state or the art Encapsulation cleaning method to their fleet. John Stukey, Owner of Mr. Steamy stated to us “All of our services are backed by a 100% satisfaction guarantee. Our customers are typically repeat customers because they see their flooring as investment. Through public demand in Columbus, Ohio, Mr. Steamy has just added a new state-of-the-art ProChem truck mounted cleaning system, the leader in the industry for high tech cleaning equipment. Through customer interaction Mr. Steamy has found that a need for stronger suction and a higher-pressure temperature will put Mr. Steamy’s service ahead of the competition. Along with this new truck mount Mr. Steamy has added a Cimex™ for Commercial carpet care and maintenance. 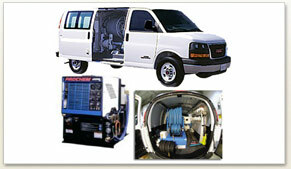 Cimex™ Carpet Machines are the premier Encapsulation equipment when it comes to carpet cleaning. Cimex™ is suited for cleaning virtually every type of floor surface. A unique feature of Cimex™ rotary cleaning machines is the patented three-head mechanism, incorporating a counter rotating planetary system, which ensures a more thorough cleaning action. 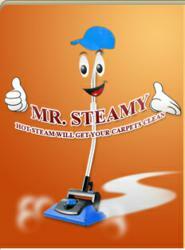 This will allow Mr. Steamy to effectively clean more carpet and occupy less of their customer’s time. You can visit Mr. Steamy on the web at http://www.mrsteamycolumbus.com where you can also read additional reviews about Mr. Steamy’s services. Mr. Steamy services; Bexley, Canal Winchester, Columbus, Dublin, Gahanna, Powell, Grandview, Grove City, Hilliard, New Albany, Pickerington, Reynoldsburg, Upper Arlington, Westerville, Whitehall and Worthington. This press release was distributed by Localize It, a third party local internet marketing firm and media distribution service.